I was delighted when America House invited me to speak to professional and business women during my visit to Ukraine in February 2017. What I did not expect was how many men would attend my programs and how interested they would be in learning about the experiences of their female counterparts. They asked questions. They supported the women who attended. They interacted. And one came up afterward to specifically ask me what he could do to help some of his female clients be even more successful. I should not have been surprised. In the World Economic Forum’s 2017 Global Gender Gap Index, which measures important aspects of gender equality and the relative gaps between women and men across the four key areas of health, education, economy and politics, Ukraine ranks better than half of the 144 countries measured and in the middle of the pack relative to East European countries. In 2017 Ukraine ranked number 61 up from 69 in 2016. In terms of Economic Participation and Opportunity, it ranks thirty-fourth. In terms of Education, Ukraine lies in twenty-eighth, which places it in the top quartile globally. This ranking is certainly respectable, but findings from a recent study entitled “Women and men in leadership positions in Ukraine” and produced by the United Nations Development Program shows that it is much less likely for a woman to be a manager in an enterprise or an organization, including government agencies and non-government organizations (70% vs 30%) and women leaders are still only most common in traditionally female sectors like education. While these numbers reflect progress and ongoing efforts to close the gender gap, Ukraine is a long way away from fully benefiting from the talents of women. At the current rate of progress, it will take 128 years to close the gender gap in Eastern Europe and 217 years to close the economic gender gap around the world! There is a robust body of evidence showing that gender balanced teams and companies led by both male and female leaders make more money, have higher share prices, make better decisions, and are more innovative. It is convenient to think that inequality is a women’s issue that does not affect others. It is easier to tell yourself that the place where you work or your business is a meritocracy and women have the same opportunities as men or that women are not in leadership roles because they are not ambitious, do not want these types of positions, or choose to stay at home and take care of their children. Deep down, you may even believe that advances for women will mean losses for men, or that the benefits of gender parity accrue only to women. These beliefs may be easier, but they are not true. More women in the workforce, in higher paying jobs, and in leadership roles benefits all of us by decreasing the burden on men, creating more opportunities for men, enabling men to spend more time with their families, and by increasing innovation, new businesses, profitability and money in the economy to be spent at our businesses and on our children. Inequality is bad for business. Without access to the best talent, you and your business cannot win. Limiting your pool of talent and leadership to half the population is like working with one hand tied behind your back or only half the resources you need. Yes, closing the economic gender gap is complicated and requires action on a range of fronts and by women themselves, but institutional initiatives are only part of the equation. Most companies have focused their attention on programs and benefits for women but have not individually engaged and equipped managers and leaders at every level with the personal responsibility to act individually to recruit, retain and advance women. You can make an immediate difference if you go from being unconscious about your biases toward women (which both men and women have) to being aware of how women are recruited, interviewed, evaluated and treated in your workplace. Transform your awareness to action and insist that a diverse slate of candidates is always presented for interviews for every position, especially management and leadership positions. Rather than being passive in the way you professionally interact with women, proactively expand your business network to include more women and meet regularly with women to understand what is going well or poorly for them. You can also intentionally mentor and sponsor women. Mentoring is giving advice. Sponsorship means advocating for someone and making opportunities available to them. If you are in a leadership position, insist that women get challenging assignments and broaden their experience and have opportunities to perform crucial functions rather than support roles within the company. In recognition of the country’s interest in advancing women, America House has invited me to come back to Ukraine in March. I am eager to hear once again about the contributions women are making and interact with the men and business leaders who are actively committed to taking both the individual and institutional actions on behalf of women to increase collective prosperity. Please consider joining the discussion. About the author: Rania Anderson is an expert on the career advancement of businesswomen in developing and emerging economies, a global speaker, and an executive coach training at companies around the world including P&G, GE, Barclays, PwC, and Bank of America. She is the author of Undeterred: The Six Habits of Women in Emerging Economies, which is now available in Ukrainian through U.S. Embassy support at YE bookstores and other partner stores of Litopys Publishing House. Rania will speak in Kyiv on 29-31 March and in Kramatorsk and Slovyansk on 26-28 March. 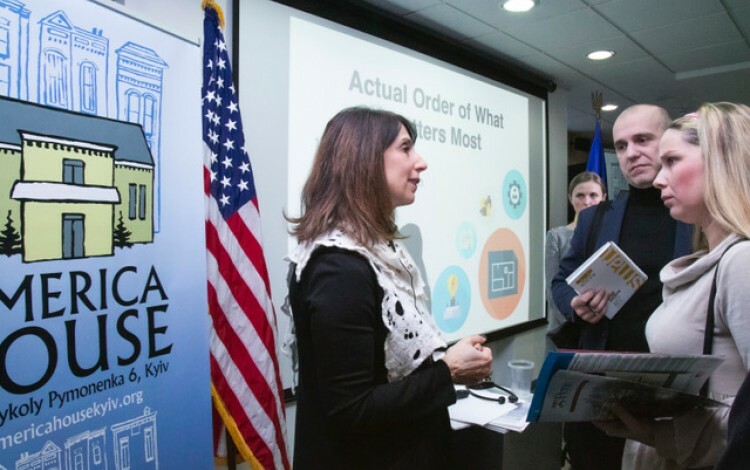 Special thanks to America House Kyiv and the US Embassy for making Rania’s visit to Ukraine possible, and to the American Chamber of Commerce for supporting Rania’s programs with Ukraine's business community. 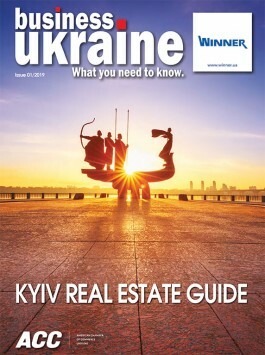 Please visit America House Kyiv online for further details.